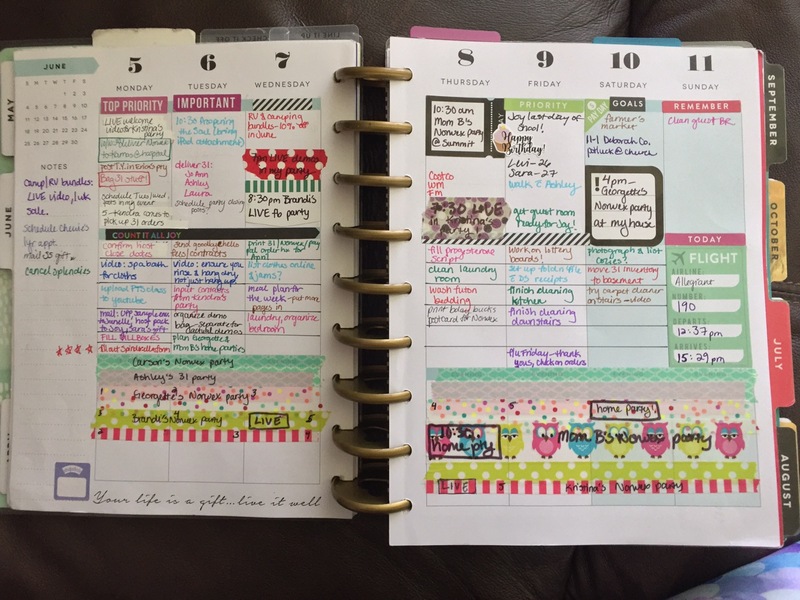 I’ve been loving my Happy Planner for quite awhile, and the ability to add and remove pages REALLY makes it usable for direct sales businesses! =D I’ll have to expound on my business sections a bit more down the road, but for now, I just wanted to say that I’ve finally decided to devote the entire bottom section to party planning, and I’m not one bit sorry! 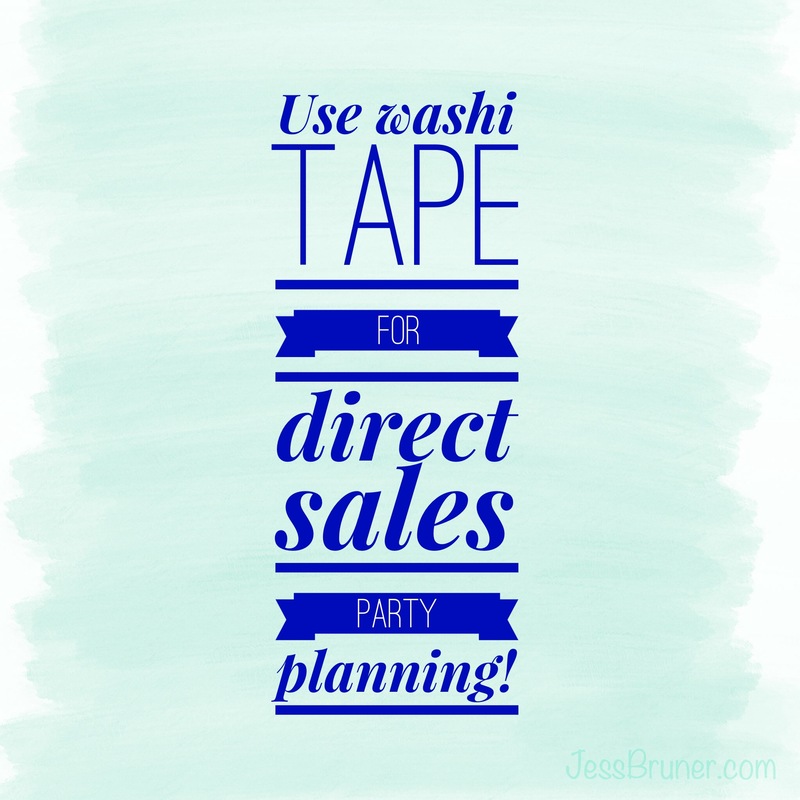 I’ve started using washi to show the length of my parties, which is especially helpful for facebook parties, but even for home parties, we usually leave it open for a little bit after the actual event, and it’s nice to see at a glance when my parties are closing. LOVE it so much! Hobby Lobby had a huge washi tape sale (50% off!) last week, so I was able to get some extras, since I was running out of different ones lol!